Acadians and Beaumonts were exported to South Africa, Austrilia and South America where they can be found in Chile, Porti Reco, Venazela. The Acadian's and Beaumonts were shipped by sea from Oshawa in crates and final assembly completed at the final destination. Most countries had a content law which required a certain % of the car to be manufactured "in country". 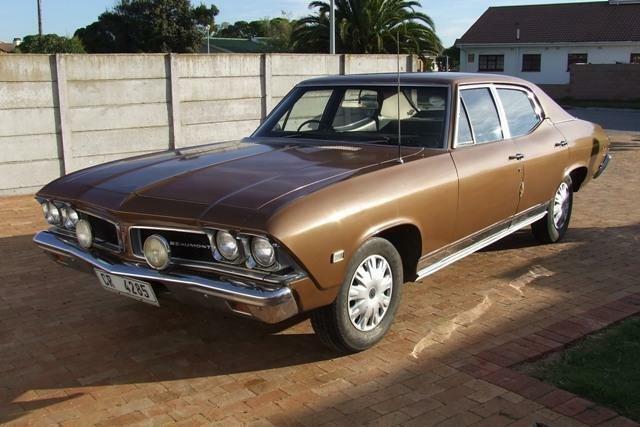 The Acadian was available in South Africa between 1965-1967. These cars were available with either the 194 or 230 inch 6 cylinder. Transmission choice was either the 2spd powerglide or 3spd standard. The Acadian Beaumont was available between 1965-1967. These cars were available with either the 230 or 250 inch 6 cylinder. Transmission choice's was the same as the Acadian Canso. 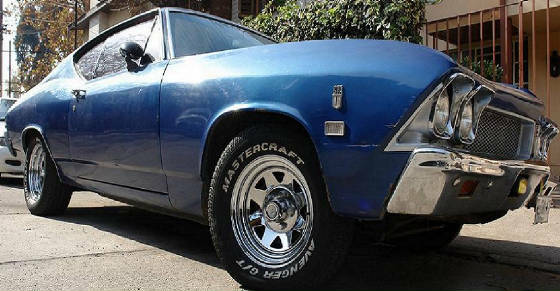 All cars sold into S.A. were converted to right hand steer and by the mid to late 60's, S.A. required 66% (by weight) of the car to be manufactured in S.A. It got to the point where pretty much all but the main body was manufactured locally. Engines, tires, springs, glass, upholstery were all manufactured locally.This eventually killed off Acadian/Beaumont imports..
New Beaumonts were sold in Chile through 1971, based upon the 1969 model. Due to Chilean laws, 20% of the parts had to be manufactured "in country". It seemed to have depended on the year you are talking but parts may include glass, carpet, bumpers, hoods, trunk lid, tires, batteries, valve covers, emblems. In the final year, 1971 all hoods were of metal. Apparently left over GM stock? Cars were crated and shipped by sea to Chile where final assembly took place. Based upon information from Chilen sources, all Beaumonts were 2 door coupes powered by the 230 inch Chevy 6. A 4 door Acadian was available but apparently only in 1963. No station wagons were available. It is believed approximately 1500 Acadians and Beaumonts were shipped to Chile between 1963 and 1971.